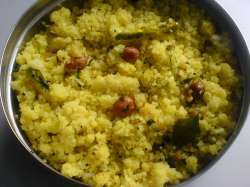 Here you will find rice flakes recipes. 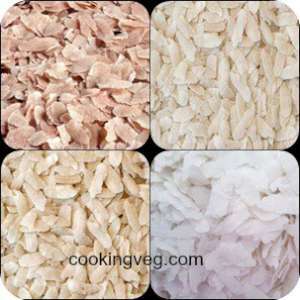 Rice flakes are known by different names, such as pressed rice, flaked rice, beaten rice, flattened rice etc. 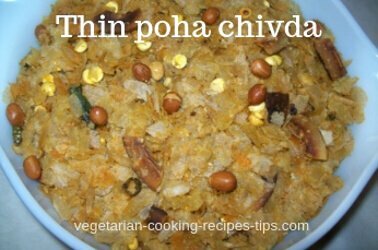 In Indian languages rice flakes are known as poha, aval, avalakki, powa, chiwara etc. 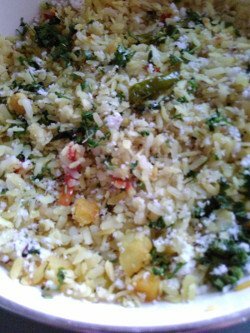 - Easy to make rice Flakes / Beaten Rice savory dish for breakfast. Pani Puri - Yummy chaat item, with digestive herbs. Dahi Puri - Cool curd (yogurt) based snack. Pav bhaji - Indian fast food. 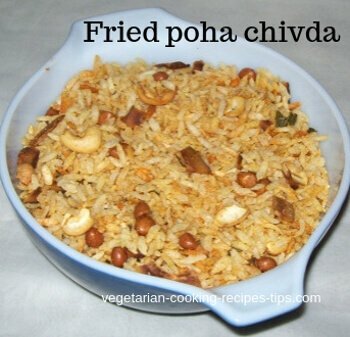 Bread chaat - Indian fast food. Vegetable Samosa- A Yummy vegetable snack. Rava Idli -Steamed Semolina cakes.